Bureau Veritas, an international certification agency, said it is integrating its digital platforms with the [bluester] online marketplace and providing independent vendor qualification services to [bluester] users. Germany-based [bluester] provides smart online tools and applications for the maritime industry to optimise supply chain processes concerned with technical and professional maritime support services. 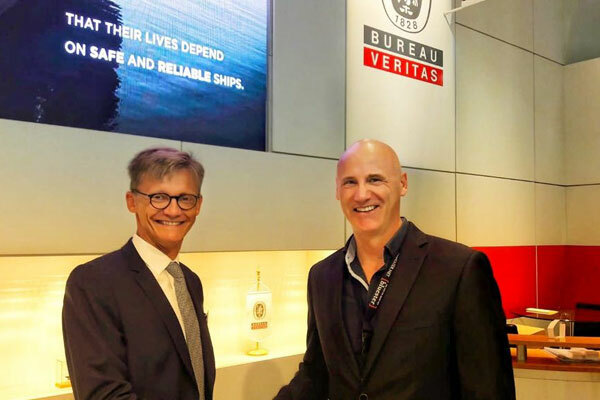 The cooperation agreement was signed by Matthieu de Tugny, chief operating officer, marine and offshore, Bureau Veritas, and Christoph Kiese, chief executive officer, [bluester]; at SMM, a leading international maritime trade fair, being held in Hamburg, Germany, said a statement from the agency. The company’s online marketplace enables buyers and suppliers to settle through a common interface using a set of streamlined processes. Ship managers and service providers automatically, impartially and transparently match against their own predefined criteria for direct contract conclusion on the platform, it said. “Both the market coverage of [bluester] and the functionality has established what we think is a unique platform in the maritime industry,” he added. Desktop and global online verification of [bluester] listed service providers by Bureau Veritas will add to the safety, reliability and efficiency of direct contracting through [bluester] as service providers’ qualifications and documentation will benefit from impartial validation. Deep integration of the [bluester] platform into Bureau Veritas’ own digital tools VeriSTAR Info, My VeriSTAR, BV Approval Explorer and PSC Ready provides added value and benefits to customers of the 11,000+ ships classed by Bureau Veritas. Bureau Veritas customers will have access to the [bluester] marketplace via a single sign on and receive special user benefits. Once registered with [bluester], Bureau Veritas customers access the portal with the click of a button from their familiar BV desktop and mobile platforms. The special benefits inter- alia include easy transfer of data. “This deal is good for our clients, we hope, and for [bluester]’s users,” he added.